The Department of Trade and Industry (DTI) through the Philippine Trade and Investment Center (PTIC) in Sydney, Australia, partnered with Expand Franchising and other organizations in organizing franchising seminars and small group business consultations to promote franchising in Australia. The first franchising seminar was conducted on February 19, 2019 in Campbeltown in partnership with Narra Co-operative, Inc., a membership co-op comprised of Filipino-Australians involved in community events. On February 20, 2019, PTIC-Sydney hosted a coffee talk on franchising and a series of small group business consultations with Expand Franchising. A seminar on “Franchising Trends and Opportunities” was likewise hosted by the Australia Philippines Business Council (APBC) on February 21, 2019. 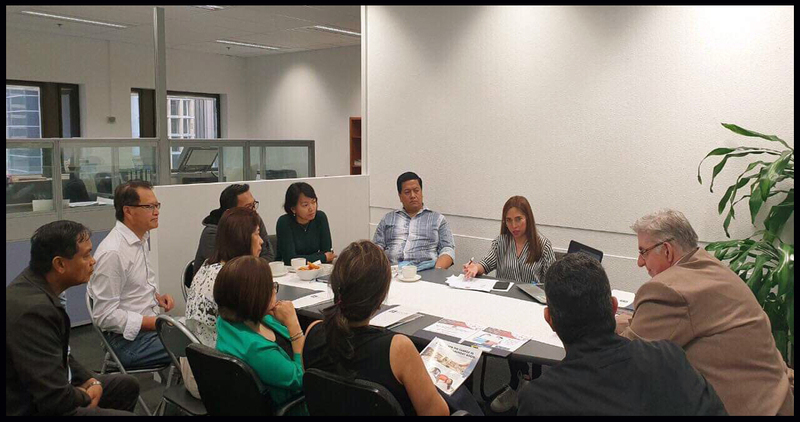 Ms. Alma Argayoso, the Philippine Consul Commercial to Australia said the franchising seminars and business consultations are initiatives under the Trabaho, Negosyo, Kabuhyan (TNK) program that the DTI overseas office in Sydney supports. The TNK is a project of the DTI in partnership with other government agencies, private sector, academe and civil society organizations, to promote entrepreneurship and generate employment. “We aim to help our Kababayans or their families back home invest in viable economic activities in the Philippines by providing them with information and resources to help them succeed as entrepreneurs”, Argayoso said. “Franchising is one of the business opportunities that we promote because it’s an important tool for economic development that creates thousands of enterprises and generates millions of jobs,” Argayoso added. Mr. Ignacio Gimenez of Expand Franchising brought to Australia its partner in the Philippines, RK Franchise Consultancy,Inc., represented by its founder, Mr. Rudolf Kotik. Mr. Kotik has over 40 years in the franchising business and developed over 800 brands in the Philippines and abroad. Mr. Kotik presented franchising trends and opportunities and the benefits, procedures and steps to becoming a franchisee or a franchisor for those who would like to scale up and open their business for franchising. “We believe owning a franchise is a good investment. It has less risk than an independent start-up with an average ROI of two years and the opportunity to grow the business more rapidly than an independent business,” Kotik said. “It’s the biggest and most successful business system in the world and the Philippines is in the top ten with the most number of franchise units globally. Among the latest trends are innovative food and beverage outlets, self-service laundromats, education and tutorial services, specialized beauty services, and animal care services,” Kotik added. While most of the interested parties were overseas or former Filipinos, looking for a franchise to set-up in the Philippines or bring to Australia, a number of foreigners also expressed interest in the co-ownership arrangements where several investors can buy 80% share in the franchise while 20% remains with the franchisor. The franchisor will run the business and provide monthly financial reports and quarterly dividends. This is a win-win arrangement where a franchisor uses OPM or Other People’s Money to grow the business, while a franchisee invests in a business without having to worry about the day-to-day operations. In photo: PTIC-Sydney hosts a coffee talk on franchising at the Descano Café.